It’s easy enough—and virtually risk-free—to get yields under 3% with a short-term investment such as a money-market fund, Treasury bill or bank CD. But if those modest yields are not good enough, you can earn much higher yields as long as you are willing to take on some additional risk and volatility. The trick is to make wise choices that don’t add too much risk for the extra yield you get. If you don’t want to take on much risk or monitor your investments closely, you can use certain blue-chip stocks and intermediate-term bonds to get yields of more than 3%. The value of these investments will, of course, fluctuate, but you are unlikely to suffer losses in them over long periods. An undervalued dividend-paying blue-chip stock. Many stocks of companies that make consumer items with well-known brands have been abandoned by investors this year despite solid earnings and balance sheets that are in great shape. These companies have paid rock-steady dividends for decades through all types of stock market cycles. And there’s an added benefit—sooner or later, there’s going to be a recession and a bear market, and these stocks, priced at bargain levels, are likely to hold up better than the overall market. A mortgage-backed securities fund. Mortgage-backed securities are bond-like investments composed of bundles of residential mortgage loans assembled by government-sponsored mortgage backers such as Fannie Mae and Freddie Mac. The dividend comes from the interest payments that home owners make on the loans. Yields are higher than those of Treasuries and most corporate bonds because mortgage-backed securities carry prepayment risk—the risk that borrowers will pay off loans early, forcing the fund to find other securities with equally good yields. 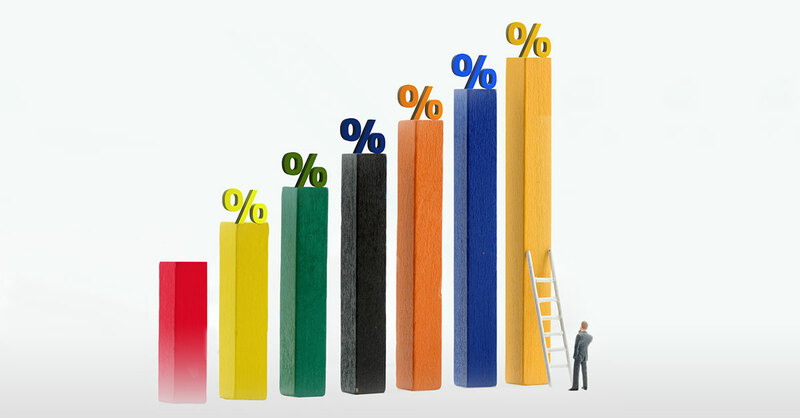 However, in a rising interest rate environment such as today’s, that risk is minimal. My favorite now: Pimco Mortgage Opportunities (PMZAX). This ­actively managed fund takes a steady, conservative approach, spreading its assets among more than 1,200 holdings with an average duration (a measure of interest rate sensitivity) of just 2.4 years. The fund, launched in 2012, typically carries a sales load (commission), but investors can buy shares commission-free at brokerage supermarkets such as Charles Schwab and Fidelity. Recent yield: 3.2%. Five-year annualized ­return: 4.1%. These investments have been paying yields of more than 5%, but you must be prepared for significant volatility. Dividend cuts during bad economic times also are possible. An energy master limited partnership (MLP). MLPs operate like regular corporations but are structured to avoid corporate taxes by distributing almost all of their income to shareholders in the form of dividends. Most MLPs are involved in the storage and pipeline transportation of crude oil and natural gas. The spike in oil prices this year means that more US shale-oil drillers are expanding their production, and therefore MLP dividends are likely to grow. My favorite now: Enterprise Product Partners (EPD). With more than 50,000 miles of energy pipelines, this is one of the largest MLPs in the country. It has raised its dividend every year since its 1998 IPO, and over the past decade, its annual dividend distribution hikes have averaged just under 6%. Recent yield: 5.9%. 10-year annualized return: 12.4%. A “fallen angel” bond fund. The bonds these funds invest in are “junk” (high-yield) bonds that offer a particularly attractive risk-reward trade-off right now. The companies that issue the bonds used to be rated investment-grade but hit rocky times and found their bonds downgraded. The fundamentals at these companies now are improving, making their bonds less risky, but the market hasn’t caught on and still is demanding high yields from the bonds. My favorite now: VanEck Vectors Fallen Angel High Yield Bond ETF (ANGL). This exchange-traded fund, founded in 2012, recently held about 230 different bonds, three-quarters of which were rated BB, one level below ­investment grade. The fund’s top holdings include bonds from Sprint, ­Freeport-McMoran and Deutsche Bank. Recent yield: 5.3%. Five-year annualized return: 7.9%. Mark Germain, CFP, Beacon Wealth Management, Hackensack, New Jersey. A health-care real estate investment trust (REIT). This is a particular kind of REIT that owns health-care–related rental properties such as doctors’ offices and long-term-care and skilled-­nursing facilities. The rents charged by this type of REIT should rise significantly as waves of baby boomers continue to age and need more health care. Over the next decade, the 80-plus population in the US is expected to double. My favorite now: LTC Properties (LTC) owns more than 200 assisted-living and skilled-nursing facilities in 29 states. Most of these facilities make their money from private patients and their insurers, not from Medicare or Medicaid. So even if the federal government decides to get stingier with reimbursements, LTC can continue to cover its dividend payments. Recent yield: 5.1%. 10-year annualized return: 8.2%. To get yields topping 8% these days, you need to invest in more speculative companies that must be watched closely. They carry the risk of both dividend cuts and significant loss of capital in bad times. The key is finding shrewd management with a long history of success. A business development corporation (BDC). These specialty-finance companies typically make loans to private businesses that are in the early ­stages of development or expansion. Unlike with private-equity or venture-capital funds, you don’t need to be a millionaire to invest. BDCs derive earnings from the interest payments on the loans they make, as well as consulting fees for providing advice to these small businesses. BDCs are not taxed at the corporate level as long as they pay out to shareholders at least 90% of their taxable annual net income each year. That means they typically can offer high-single-digit yields. My favorite now: Hercules Capital (HTGC), in Silicon Valley, is one of the largest BDCs in the country, having provided nearly $8 billion in capital over the past 15 years to hundreds of then-fledgling tech companies including Facebook, Sling Media and Trulia. Recent yield: 9.4%. 10-year annualized performance: 9.3%. A mini Berkshire Hathaway. Some publicly traded holding companies have the same tax-advantaged status as BDCs (above). But instead of making loans, they buy controlling interests in fast-growing companies and use the profits they generate to pay investors a hefty dividend and buy up more businesses. Owning shares in a holding company is potentially more lucrative because in addition to receiving dividends, investors participate in any capital appreciation when the holding company sells an underlying business or takes it public. Neil George, editor, Profitable Investing. *Performance figures are through September 15, 2018.